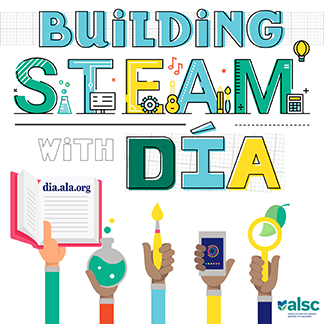 If you’re like me, you’ve been to ALA a number of times, and while it’s always thrilling to get together with thousands of librarians, sometimes a smaller conference is refreshing. Earlier this month, I had the opportunity to attend the Fay B. Kaigler Children’s Book Festival, which is hosted by the University of Southern Mississippi every year in April. USM is home to the DeGrummond Children’s Literature Collection. 500 librarians, teachers, and children’s literature enthusiasts gathered in Hattiesburg to discuss topics related to libraries and children’s and YA literature. There was a very laid-back, friendly atmosphere to the festival. I co-presented with Angie Manfredi and Ally Watkins on the subject of best books for teens and tweens. Every year, an author or an illustrator is awarded the Southern Miss Medallion to honor their contributions to children’s literature. Past winners include Madeleine L’Engle, Ezra Jack Keats, Maurice Sendak, and Beverly Cleary. 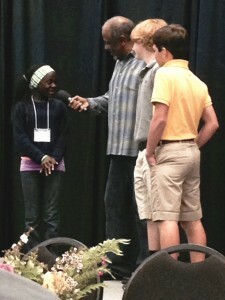 This year’s winner was Christopher Paul Curtis and he gave a talk to the attendees one of the days of the festival. Other keynote speakers this year were M.T. Anderson, Kathi Appelt, David Small, and Sarah Stewart. The Ezra Jack Keats Foundation is a partner with the festival, and they give annual author and illustrator awards that are presented at the Children’s Book Festival. The Ezra Jack Keats New Writer Award Winner was Ame Dyckman for Tea Party Rules, and the Ezra Jack Keats New Illustrator Award Winner was Christian Robinson for Rain! 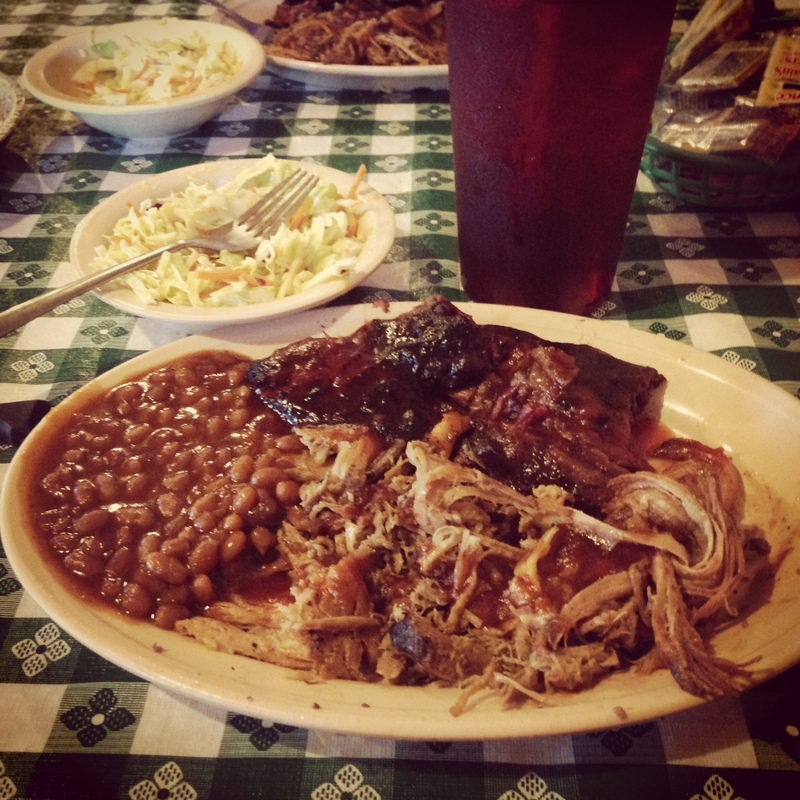 Another advantage to a conference in Mississippi is the food! 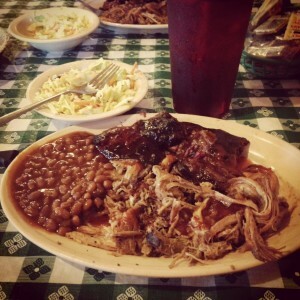 I had some great barbeque at Leatha’s Bar-B-Que Inn. The beef ribs were to die for. Many people who were new to the festival (including me) remarked upon how welcoming and friendly everyone was at USM. I invite y’all to come on down and get involved with the festival next year! Our cross-poster from YALSA today is Angela Frederick (@angelina41). 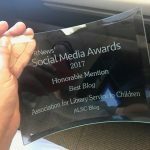 Angela is currently a school librarian with Metro Nashville Public Schools; she has eight years experience working with teens in public libraries in Nashville and San Antonio.